Seems to hold up well. And nice to cut the size you need. I like these velcro strips, there very strong. This is just what I wanted, but cannot review as I haven't used it yet. I have had it before, so Its perfect for what i want it for. Thank You, good service! I am always amazed @ how often I use the velcro for so many different projects! It is so versatile in repairs or to secure items and openings. I didn't have to send my new shoes back! This product allowed me to customize a fit on a loved pair of shoes that I bought and thought I would have to take back. It really sticks and stays in place. I haven't gotten around to using this product yet, but when I do I'm sure it'll be great. I've never gotten an inferior item from Walter Drake. Am finding many uses for this! Finding may uses for this. I plan on buying this product again. This product can be depended upon to hold,...STEADFAST to most anything. In many ways it's a product which is greatly needed by many people, and at a great price. 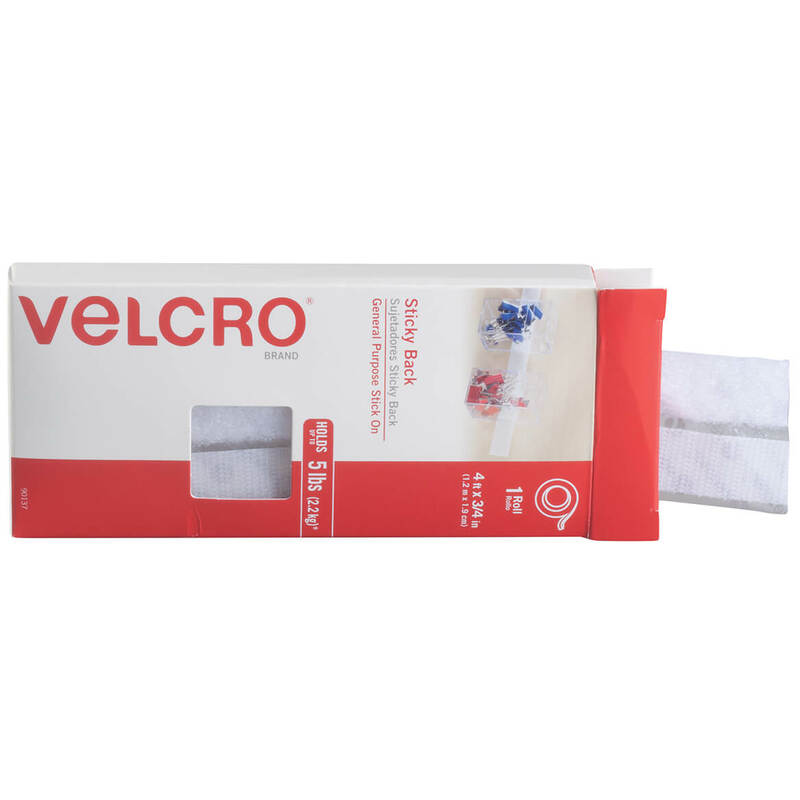 This Velcro on a roll makes projects, big or small, easy. I can cut off whatever size I need, whenever I need it. I love them. I will buy this product again. This Velcro fastener is soooo Good! I'm using it to fasten two side pockets on a purse, and it works superbly! I used this product to stick my screen door on my mobile home. Works great. Great for hanging my pictures on wall. VERY SIMPLE AND QUICK TO USE. Convenient for many uses. Easy to select the correct length required. For shoe. Bottom of plastic box then put kleenex box in the car doesn't move around. So far I am using velcro to hang small tools for my shop vac .I hung them on the inside of my garage cabinet doors. Works well . The product is good but the package - not so much. No box, just looped in a plastic bag which is awkward in comparison to coming out of box with two sides lined up. Not a good solution. I have not used the product yet because of conflicting information i.e. catalog says use on dash while manufacturer says not recommended for dash. False reprentation a lot smaller then in the book. 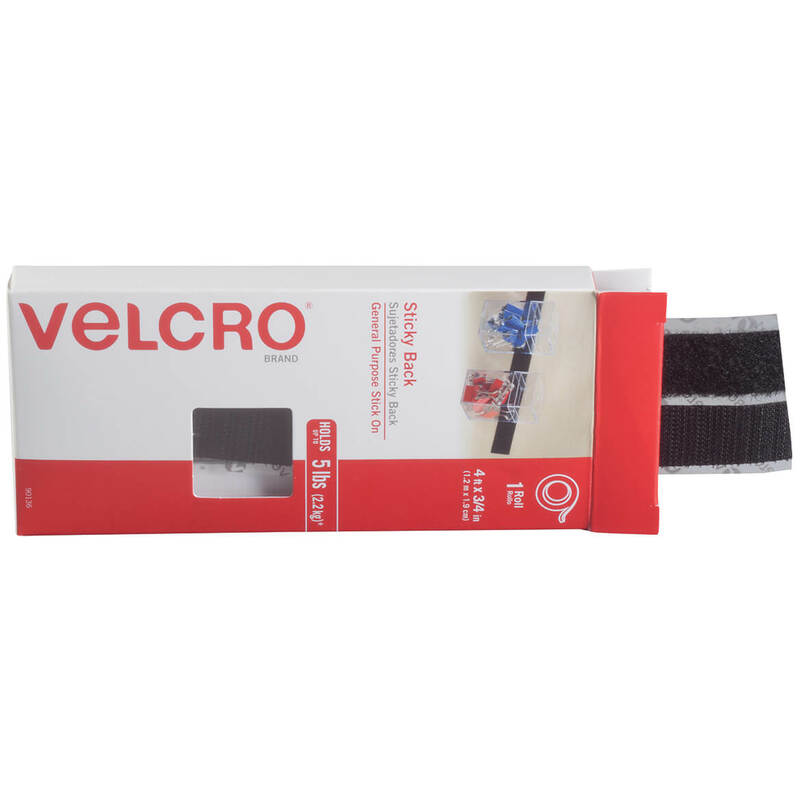 Could have purchased velcro at any drugstore. My package was not compact as displayed. Disappointed. I need Velcro to fix different things. I only have black velcro and needed white. Needed Velcro and saw it in the catalog so decided to get it here instead of going to the store. It was recommended for securing runners to wall-to-wall carpet. Hope it works. Nice to have on hand! I had several prints that had fallen off the wall and this looked like an easier way to rehang them. Sounded easier than other methods. I thought it might be useful for a variety of things. It's just what I needed. Loved the delivery time. I bought some recently from you guys and this product really works so well as advertised. I hung up my pictures, clocks and small mirror with Velcro Fasteners so quickly. Needed this for hanging a large fabric mural on my wall. The price is great. 1. I need it to resupply. 2.Velcro is like Smith & Wesson and Preparation-H: it works every time, 100% of the time. and 3. Velcro can resolve a giant number of needs. Couldn't live without this! I find so many uses for the Velcro. So useful in projects around the house. I need the white velcro to adhere a ceiling remote antenna to ceiling! I need this for placing some items on my walker and/or wheelchair. We use Velcro for many things including a walker that I can attach a helper stick to the side. This was an economic way to buy what we need for a good price... sold as 4 feet per package. this is a quick fixer upper. This product has come in handy around the house many times! The big ole greyhound likes to just jump on to the rug when she runs in from the outside. I think she thinks the rug is a slider. This will fix that problem and end her fun since she doesn't know the words NO or STOP. Hanging Pic's in frames is a Breeze with this tape!! Same as above used up last order, reordered!! !